As of 2014, more than 9 million adult Indonesians (from 20 to 79 years old) suffered from diabetes, making the country’s diabetes population the fifth largest in the world.6 Projections suggest that more than 14 million Indonesians will have diabetes by 2035.7 In 2014, diabetes was estimated to cause nearly 176,000 deaths in the country,8 with the disease costing the Indonesian health system $1.6 billion a year9—more than 40 percent of government spending on NCDs overall. Indonesia is in the midst of a fundamental economic and demographic transition. The country is projected to become one of the top ten economies in the world by 2030, up from the sixteenth largest today. An additional 90 million people are estimated to join the consuming class by 2030. In healthcare, too, Indonesia has made rapid strides, reducing maternal mortality by 56 percent in the last decade and under-five mortality by 86 percent over the past 50 years. An Indonesian’s average life expectancy has increased from 49 years in 1960 to 69 in 2013.1 In 2014, Indonesia introduced the world’s largest single-payer health-insurance program, seeking to provide universal healthcare to its approximately 250 million citizens by 2019. Looking ahead to the next 10 to 15 years, one of Indonesia’s biggest challenges will be addressing non-communicable diseases (NCDs). In 1990, NCDs represented 43 percent of the country’s disease burden, compared with 49 percent for communicable diseases such as tuberculosis. Today, NCDs’ share has grown to 69 percent,2 and the numbers are rising. In 2014, three NCD categories—cardiovascular diseases, diabetes and its complications, and respiratory diseases— accounted for nearly 50 percent of deaths in the country.3 These three NCDs will cost Indonesia an estimated $2.8 trillion from 2012 to 2030 (three times Indonesia’s GDP in 2014, and nearly 107 times Indonesia’s total health spending in 2014), according to the World Economic Forum. The adoption of a modern lifestyle by the Indonesian middle class and the country’s aging population are the main factors behind the increase in NCDs. As elsewhere in the developing and developed world, a modern lifestyle corresponds to a higher calorie intake and sedentary behaviour: fewer people walk to work or school, and more people are spending increasing hours in front of televisions or computer screens. By 2030, 135 million Indonesians are forecast to be part of the consuming middle class, compared with 45 million in 2010. Additionally, projections suggest that about 27 percent of Indonesians will be more than 50 years old in 2035, compared with 14 percent in 2000. Indonesia is drafting a national agenda to address the growing burden of NCDs. In this report, we focus on diabetes to illustrate the issues the country faces in responding to the rise of NCDs. This increase corresponds to an additional 10.9 million overweight Indonesians. More than three-quarters of Indonesian males 15 years old and above smoke, compared with 20 percent in India.15 Average salt intake per person per day is 15 grams, three times higher than the World Health Organization’s recommended daily consumption. Physicians and other healthcare professionals tell us that patients are often unaware of diabetes symptoms, resulting in improper or late diagnosis. Indonesia also lacks comprehensive diabetes-education programs. Only 47 percent of diabetes patients are diagnosed in Indonesia compared with 75 percent in Mexico and 72 percent in the United States. Diagnosis also tends to happen late in the disease pathway, when many patients have already developed two or more complications. For example, neuropathic symptoms are often the initial cause of medical consultation in Indonesia leading to diabetes diagnosis. Recommended diabetes-treatment targets (HbA1C level of 7 percent or below) are achieved by only 30 to 35 percent of diabetes patients in Indonesia, compared with 50 to 55 percent in the United States.19 Contributing to this situation are patients’ poor adherence to medication and recommended lifestyle changes, inconsistent follow-ups with doctors, and inconsistent treatment for complications and comorbidities. Implementation of a national diabetes strategy and resulting initiatives will not be easy, given the size of the country and the relative scarcity of resources. No single type of intervention—or any single sector of society—will be able to rein in the rising prevalence of diabetes. More cooperation within and between public and private sectors is likely to be necessary. We also believe that the relevant sectors of society should be prepared to engage in trial and error to better understand which approaches are likely to be most effective. Following are a few implementation ideas the government might consider. Australia recently implemented a diabetes-care- management pilot. Managers of the effort successfully enlisted 154 general-practitioner practices comprising roughly 6,800 patients across three states to participate in an 18-month trial to test diabetes-management initiatives. The managers created a control group and two test groups in a randomized pilot. With these three groups, they tested interventions such as care coordination and monitoring, flexible funding, an integrated information platform, continuous quality-improvement processes, and payments for quality improvement. The approach allowed officials to measure and monitor the impact of these interventions and to show proof of concept of what a comprehensive diabetes-management strategy could do. In a resource-constrained country like Indonesia, involving a consortium of public and private players is likely to be important. 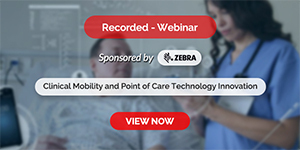 Governments, hospitals, payers, pharmaceutical companies, medical device companies, data-analytics organizations, academic and research institutions, media, consumer associations, medical associations, and many others could be involved. Australia’s diabetes-management program included close to 20 organizations. Switzerland’s QualiCCare project, as mentioned earlier, also followed a multi-stakeholder consortium approach that included the Department of Health, patient organizations, physician associations, payers, and outside experts. Indonesia could consider pursuing such a multi-stakeholder approach as it begins to implement its diabetes-management program. Such an approach can help reduce the resource burden on the government and expand the reach of the program. Indonesia is in the middle of a demographic, economic, and epidemiological transition. Non-communicable diseases are becoming more prevalent as the population becomes wealthier and older. Chronic, long-term conditions such as diabetes are causing an increasing number of deaths, rising healthcare costs, and GDP losses. Taking appropriate and timely steps to address the country’s diabetes challenge could have a big impact on Indonesia’s health system and economy for years to come. 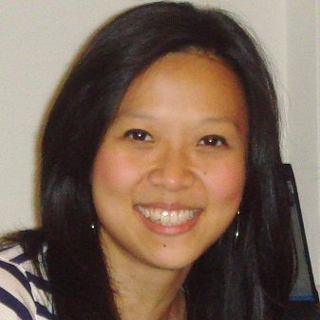 Jessica Lembong is an Associate Principal with McKinsey & Company. She serves leading pharmaceutical and biotech companies on various topics of research and is a published author in the domain of healthcare. 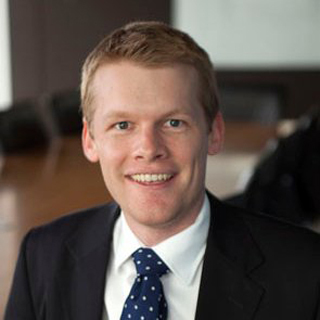 Tim Fountaine is a Partner at McKinsey & Company, Australia. Before integrating with the organisation in 2007, Tim practiced as a medical doctor at Bay of Plenty District Health Board. He is an avid medical researcher and writer.